Computers have become an integral part of our everyday lives. We use it to write documents, watch movies, play games, and even buy stuff online. Today, smartphones have overtaken computers. Modern day smartphones are overtaking the desktop's dominance as the primary device to access the Internet and for media consumption. Whatever might be the device you are using, there is a malware variant specifically designed to infect it. Hackers are releasing millions of malware variants on the internet every day. Their main intention is to take control of your device and steal personal information like banking details from you. So be sure to check if your computer system or smartphone has the following symptoms and prepare to defend against such threats. If your computer has a malware infection, the first symptom that you will notice is a significant slowdown in your computer performance. Even the basic applications such as Photo viewer, Microsoft Word, browsers that take less than 2-5 seconds to start will take 20 to 50 seconds to start up. The slowdown usually stays even after a fresh reboot of your computer. Applications tend to close automatically in a malware infected computer. If your computer shows such signs, it is a clear sign of malware infection. This symptom may not appear every time a malware infected computer. If a remote hacker controls your malware infected computer, you may be denied access to the registry editor. To confirm this, go to the Start Menu and select Run then type "regedit." If you are prompted with a message stating: Your Administrator has disabled registry Editing, it may be a sign of malware infection. Especially, if you are the administrator and your PC is showing such messages, there is a high chance of malware infection on your computer. 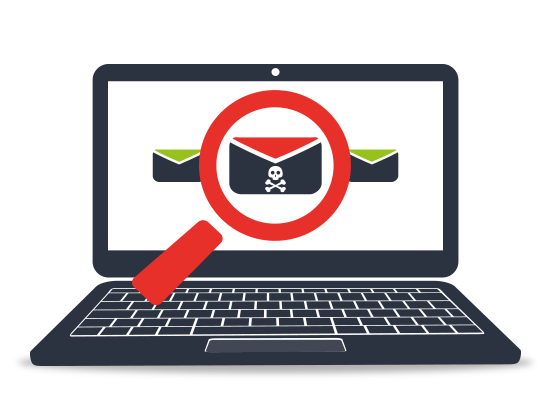 Apart from the signs discussed above, malware can also change the names of your system files, execute applications that will transfer your files from one folder to another. Some malware can even completely wipe your data stored on the computer. If your computer has slowed down significantly, if your applications take much longer to load or if your screen has unwanted pop-ups or advertising that you did not click on, then it is likely to be a malware infection. It's vital that you take steps to remove this intrusive and unwanted software not only because it is annoying but because potentially you open yourself to personal information theft. The best way to remove malware and to prevent future infection is to install a good antivirus program like Comodo Antivirus on your computer. For organizations, antivirus software is not an ideal solution as there might be multiple endpoints deployed at different locations. For such scenarios, Comodo Advanced Endpoint Protection (AEP) is the ideal solution.